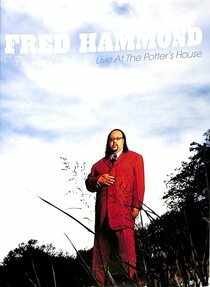 :FREE TO WORSHIP captures the energy of Fred Hammond's concert at T.D. Jakes' Potter's House Church in Dallas, Texas, in 2006. The gospel giant treated the excited audience to a number of his beloved songs, including "Praise Belongs to You" and "No Greater Love." AMERICAN IDOL winner Ruben Studdard joined Hammond on the song "A Closer Walk." About "Free to Worship: Live At Potter's House"